WASHINGTON, DC, April 10, 2015 (ENS) – Three bird conservation groups have succeeded in their 10-year effort to establish a conservation corridor in Colombia that offers crucial winter habitat to help reverse the decline of Cerulean warblers – small sky-blue songbirds that migrate between North and South America. 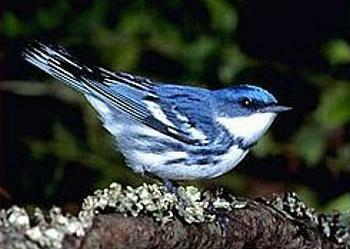 Cerulean warblers are now flying north to breed in the United States. They leave in August and migrate to the forested mountains of Colombia and elsewhere in western South America. The species was once one of the most abundant breeding warblers in the Ohio and Mississippi river valleys. Now it is one of the most imperiled migrant songbird species in the Western Hemisphere, with only about half a million Cerulean warblers remaining. The Colombian conservation corridor effort was motivated by a 70 percent decline in the global population of Cerulean warblers over the last 50 years. The conservation project was led by American Bird Conservancy based in Washington, DC; Fundación ProAves, a Colombian bird conservation group; and Fondo para la Acción Ambiental y la Niñez, a Colombian organization focused on community, youth, and environmental protection. More than 220 private landowners participated in the project by planting shade trees on their coffee and cocoa farms and cattle ranches. Some 3,000 acres of land were reforested to connect existing habitat into a corridor six-miles long by half-a-mile wide, using 500,000 seedlings of 26 native tree species grown in nurseries established in the nearby Cerulean Warbler and Pauxi Pauxi bird reserves. The tree planting provides a “habitat bridge” between the two protected areas and targeted coffee and cocoa farms as well as planting native shade trees to promote more canopy cover. 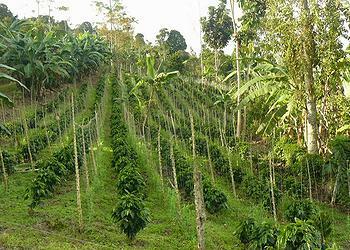 Eighteen conservation easements, the first in Colombia, were used to conserve remnant patches of native forest. “We’re excited at how the establishment of ecological easements has motivated local communities within the corridor and buffer zone,” said Jason Berry, International Landscape Conservation Officer for American Bird Conservancy. Silvopasture practices – the planting of trees in otherwise open cattle pastures – were used to benefit the health of cattle and business productivity as well as provide tree cover for birds. Expeditions by ProAves to document the animals and plants of the region supported the creation of the Yariguíes National Park, covering 194,810 acres, in 2005. In the same year, ProAves established a nearby 545-acre private Cerulean Warbler Reserve, and then in 2007, founded the Pauxi Pauxi Reserve, which is now 4,470 acres. Conservation work on the breeding grounds in the Midwest and Appalachia have helped the Cerulean warbler, but as the birds lose winter habitat in Latin America, their declines have continued. The new conservation corridor initiative protects and preserves critical habitat for more than 150 species of birds including many migrants, such as the Golden-winged warbler, American redstart, and Rose-breasted grosbeak. In addition, it provides habitat for other endemic and threatened species such as the Gorgeted wood-quail and Mountain grackle, two species found only in Colombia and considered globally endangered. This project includes a component to measure biodiversity success, such as changes in the population of Cerulean warbler and Gorgeted wood-quail. Currently, monitoring protocols are in place for reforestation of forest cover change using satellite imagery, which will indicate how much habitat has been created. This information will inform the next phase of nurturing the growth of trees that have been planted and planning for the tripling of the corridor in the future. Cerulean warblers winter in the northern Andes in South America and breed from the Great Lakes region to Georgia and west from Wisconsin to Louisiana, with concentrations in the Appalachians and the hardwood forest regions of Wisconsin, Iowa, Tennessee, Missouri, Arkansas, Kentucky, Ohio, Indiana, and Michigan. Other migratory bird species are also in trouble. Declines have been noted for decades for many species of North American migratory birds that winter in Latin America, including the Broad-winged hawk, Olive-sided flycatcher, and Upland sandpiper.